Clayton International has received a $7.6 U.S. Navy contract to deliver maintenance services for an AS-61 helicopter that will be used to support the Egyptian government. The Navy will obligate the entire contract amount in foreign military sales funds which will not expire upon the conclusion of the current fiscal year, the Defense Department said Thursday. The company will work in Georgia, and is expected to finish by March 2019. 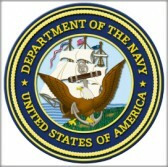 The Naval Air Warfare Center Aircraft Division issued the contract. The AS-61 is a multi-purpose helicopter that was built based on Sikorsky‘s SH-3.